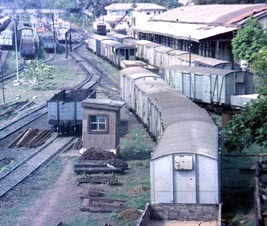 The arrival of the railway had an immense effect on the economy, social organization and people of Kwawu, including Obo. Originally, the Gold Coast did not have any natural harbours that could provide for ocean going vessels. The large surf boats, made from the hardwoods of the rain forest, could hold up to about forty men, or the equivalent in cargo. They offloaded goods coming from overseas, and loaded cocoa and other products to go overseas. 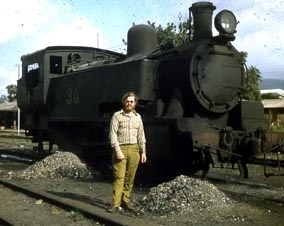 When the first rail way was built, the two artificial harbours had still not been built, so the locomotive was carried on four surf boats lashed together. Six men died, but the locomotive was landed intact on the shore. 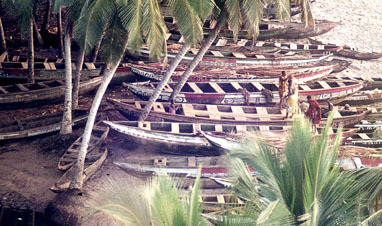 Today, the surf boats are used mainly for fishing, especially carrying nets from off shore to be then pulled in by hand from the shore. Smuggling is not well documented, but is a viable enterprise. 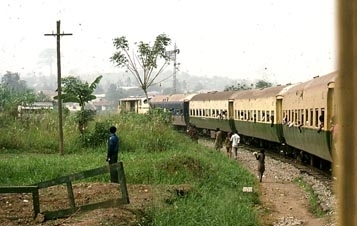 The first trains were in Takoradi. Later they came from Accra to Kumasi, and Nkawkaw was one of a few major stops along the route. 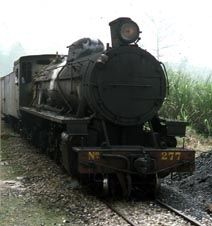 An historical document from the time describes Nkawkaw as a frontier town, much like in the opening up of North America, when the rails were laid and the first train arrived. 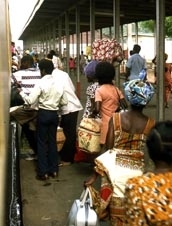 Prior to the building of the railway, there were two trade routes from Kumase through Kwawu to Accra. The one on the south side of the escarpment was by land, and involved walking for six days. The one on the north side of the escarpment was on the Afram river. The Volta River was called Afrau in Twi (Aflao in Ewe), and the Afram was "Afrau mu," (Afram) meaning "into the Volta." In the sixties the Akosombo Dam was built, flooding the Afram and Volta rivers together to become a large shallow and silty lake. In the photo above, the Afram River is flooded to now be the Afram Lake, and continued to be a source of fish and short distance transport on the north side of the escarpment, but is no longer a major transportation route between Kumase and Accra. 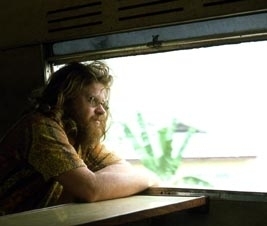 For those used to a five or six hour drive from Accra to Nkawkaw, the train was a slow alternative. but it was inexpensive and comfortable. 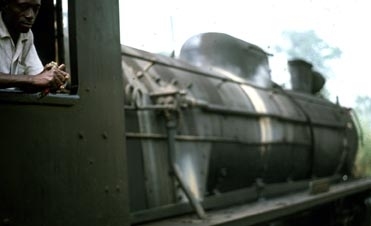 By the time the railway ended its service, some trips might take as much as a day and a half. 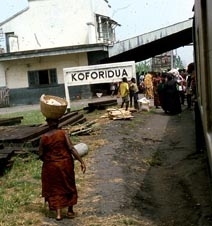 Koforidua was another major stop between Accra and Kumasi, about half way between Accra and Nkawkaw. 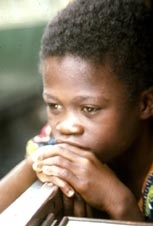 It is home to an Asante group which left the main Asante areas around Kumase.